So it is already clear that it is impossible to help somebody if they don't want it. Even forcing somebody into the enclosed therapy center with psychologists and the best specialists is not going to be effective unless the person makes self aware decision about stopping the problem within themselves. But here there is one important point about the enclosed anti-addiction centers. You'll see... these centers would be there as a place where a person could decide for him/herself what to do with his/her life. 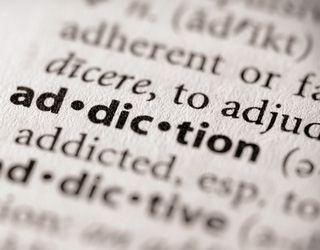 If somebody would really be interested in doing something about their addiction then they would have at their disposition adequate infrastructure and specialists to assist them with their problem. But in the case that somebody would not want to make the change and this would be clearly visible in the actions because somebody would fall time after time into the problem and this person would need detoxification in the hospital then these kind of people would be directed into the places where they would be provided with everything necessary to enjoy their addiction to the fullest. So this would be a prison like place where people could drink alcohol/take drugs etc. s much as they want. I know that many of you would react adversely to what I am writing here !!! Because what I am proposing is that instead of helping these people I want to spend tax payers money on building centers where people could "enjoy" addiction instead of fighting it. I know that it does not make sense at first at all. But look at this... and here I repeat again that we cannot help anybody if they refuse to accept help. Prohibition of alcohol, drugs etc. is not effective at all and we can see it clearly in our world. No matter how many laws and how many police officers we have, those who want to get drunk or high on drugs almost always find a way to get what they want.